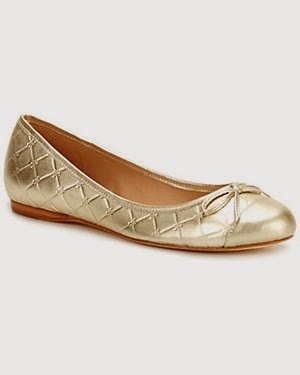 Despite the fact that the dumbass rodent Groundhog predicts a never-ending winter this year, I just bought the cute gold Jack Rogers flip flops below. I think they are so sweet and am going to stare at them until the iceberg I'm living on melts away. There are lots of really fun options on sale today, too. Almost everything is still in stock, which is rare for Ruelala. 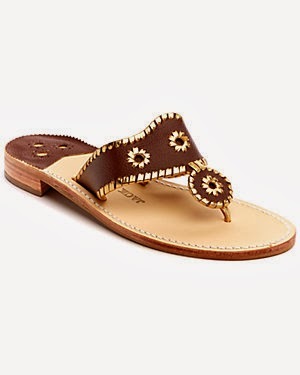 Maybe you too need a to treat yourself to a little daydreaming of spring sandal today! Or is that just me? Because seriously...this weekend when we broke 30 it felt like an actual heat-wave. My bar has reached new lows, y'all! I wear a similar pair most often in the summer. Seriously it feels like winter will NEVER end! 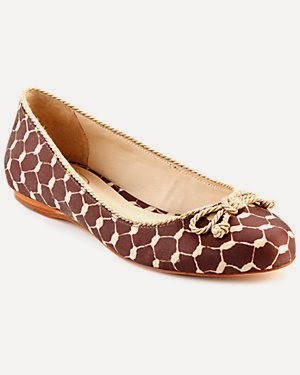 I love the blue cap toe flats, very pretty! The Tiffany ones are beautiful.